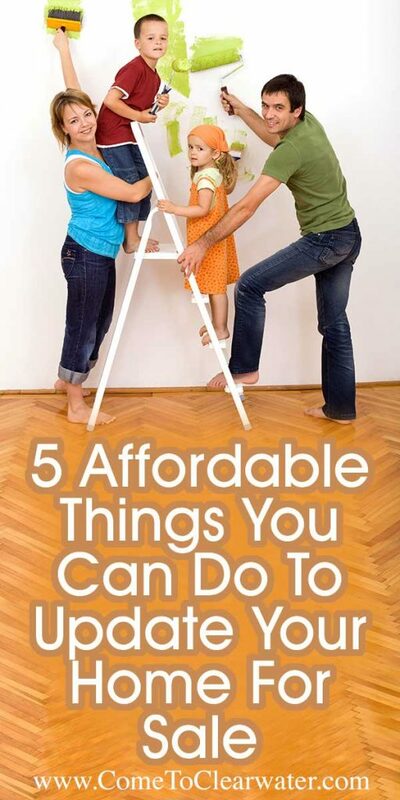 Improving and updating your home doesn’t have to be expensive. 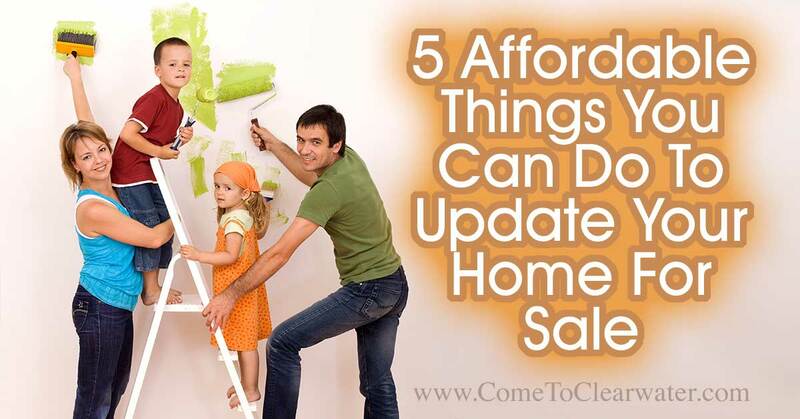 Not improving and updating your home can mean less money in your pocket come time to sell. You can do many things yourself, but if you find serious problems being cheap on the repairs can not only cost your more down the line, but could be downright dangerous. So keep this in mind. Hiring an inspector to help you find any issues may be a good idea. 1. One easy way to spruce up your home is to paint. These days even high quality paint can be found for less than $50/gallon. Since you’re sprucing up to sell, choose a more neutral palette. You don’t have to go eggshell white the whole house, but don’t do too dark or bright when choosing colors. Light blues are calming. Butter yellows are brightening, but not overwhelming. For small rooms use lighter colors since darker shades make rooms look smaller. 2. Have carpets deep cleaned. If they are just too old or beat up, replace them or put down new flooring. If you don’t want to spend the extra money on hard wood floors, there are a lot of alternatives that look so much like hardwoods that people may be fooled. 3. If you have a yard, do some clean up and landscaping. New shrubbery and some colorful flowers make a dull house look better. If you don’t have much yard, plant a deck garden or put some herbs in a pot in your kitchen windowsill. Part of all of this outside sprucing up is also making your front door welcoming and up to date. If your door looks a bit out of whack with the rest of the house, put a new one up that complements your home. 4. Bathroom updates are also a great idea, but they can get expensive. Look at your overall budget and decide what you can do to spruce up those rooms too. Sometimes just adding some paint, new towels or shower curtains can add a more modern feeling to these super important rooms. 5. Last but not least, make sure you take a honest look at your kitchen. This is the “heart of the home” and if yours is looking tired and cluttered, you will not get those high priced offers you are looking for! Can you paint some cabinets or get some new laminate countertops? Simply putting things away can sometimes make your kitchen seem bigger. Make sure you scrub it until it gleams from floor to ceiling! If you are looking at listing your home in the Tampa Bay area, please feel free to give us a call and I will be happy to schedule a walk-through of your home with “real estate eyes!” I can let you know all the things you could do to update your home affordably!